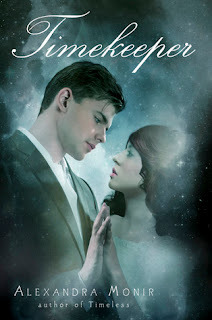 Alexandra Monir's second book, Timkeeper, was released earlier this month! It's the follow-up story to her romantic debut, Timeless. So if you're a little behind in the series, as in you haven't even started it yet, why not play catch-up by reading a sampler of Timeless? And let me know what you think in the comments! If you want to get to know Alexandra a little better, take a look at my interview with her from last year on WovenMyst. She's also Vlogging about Timekeeper on Random Buzzers this week! If you're new to Random Buzzers, or already a member, be sure to add me as a friend (LoveyDoveyBooks). 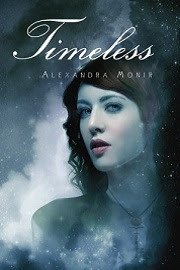 Alexandra Monir's Timekeeper combines breathtaking romance with a tale of complex magic in a sequel that will have every reader believing in the transcendent power of love.